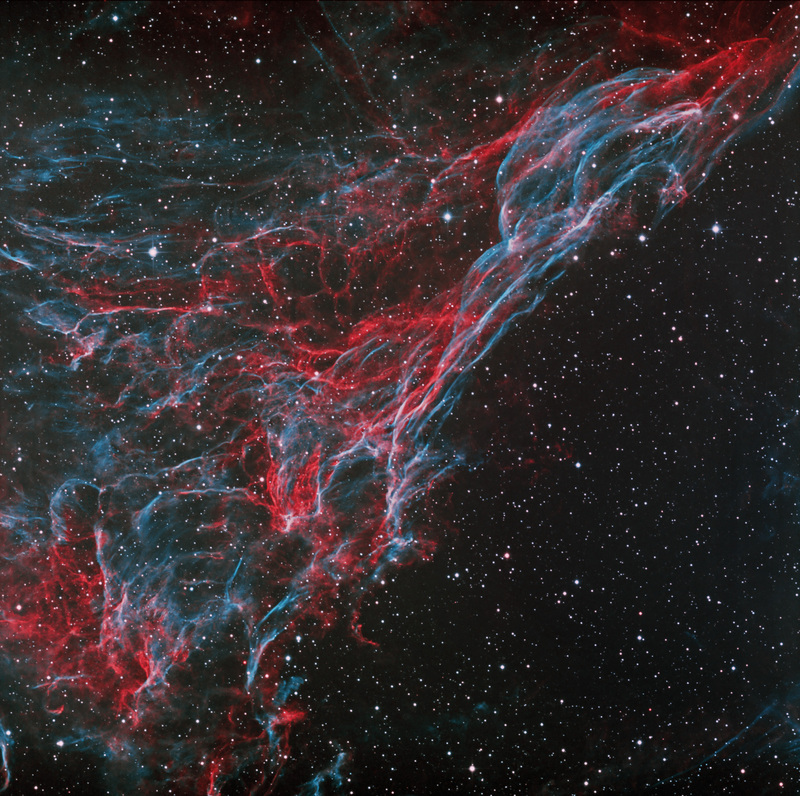 Pickering’s Triangle is part of the Veil supernova remnant in the NW portion near NGC6979 and NGC6974. It does not have an NGC number but is also known as Seimis 3-188. It is 1,400 light years distant in the constellation of Cygnus. The filamentary segments represent an expanding shell or shock front of the supernova explosion that took palce 5,000 – 10,000 years ago that are now five times the size of the full moon. As visual observer’s can attest to with the use of OIII filters, Pickering’s Triangle is strongly enriched in OIII. This image was taken only with H-a (red) and OIII (blue, green) narrowband filters to bring out the fine filamentary detail.